Costume malfunctions have caused many woes on sets, but the latest seems to have provided a unique problem for the Double Dhamaal team! 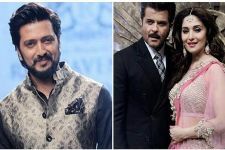 0 Comments | By Nabila K.
Featuring actors such as Sanjay Dutt, Kangna Ranaut, Riteish Deshmukh, Arshad Warsi, Ashish Chowdry and Jaaved Jaffery; Double Dhamaal shows the cast shaking a led to the hit song, "Oye Oye" from Tridev (1989), which required Kangna Ranaut to cozy up to co-star, Riteish. Unfortunately his retro-African disguise - which included a large wig - made it quite difficult for the actress to give him the required kiss on the cheek! Apparently the crew tried everything from shooting at different angles to combing down the wig but nothing seemed to help. 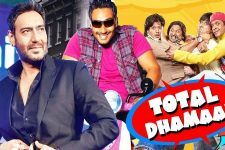 Finally, choreographer Ganesh Acharya was forced to alter the dance moves in order to maintain around the wig! 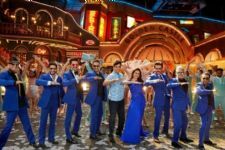 "Oye Oye" is out as part of the trailers for the sequel (to the original Dhamaal of 2007) and is slated for a release on 24th June.